The hilariously versatile Kate McKinnon (Morgan) and the eclectic Mila Kunis (Audrey) joined other cast and crew at the world premiere of the Lionsgate film “The Spy Who Dumped Me” on Wednesday at the Westwood Village Theater. 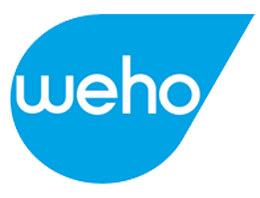 The actors play a couple of 30-year-old best friends living together in Los Angeles, when an ex-boyfriend shows up at their apartment with a team of deadly assassins on his trail. Surprising even themselves, the duo jump into action, on the run throughout Europe from assassins and a suspicious-but-charming British agent, as they hatch a plan to save the world. Sam Heughan (Sebastian), Justin Theroux (Drew), Ivanna Sakhno (Nadedja), Writer-Director Susanna Fogel and writer David Iserson also walked the red carpet at the world premiere. 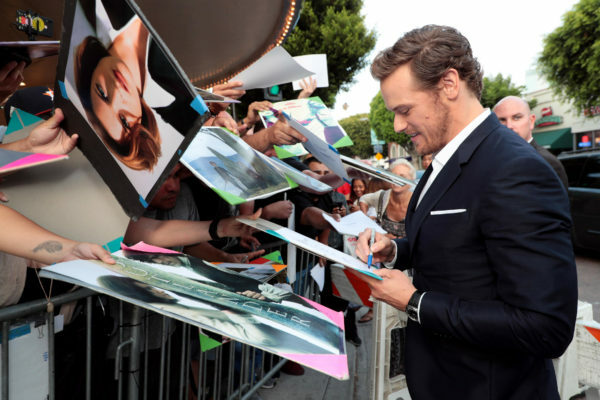 Sam Heughan signs autographs at the premiere.